Even as the Great Barrier Reef weakens from the impacts of climate change, Australia pursues plans to mine millions of tons of climate-polluting coal from the traditional lands of the Wangan and Jagalingou people. The Wangan and Jagalingou people, Traditional Owners and custodians of a vast area of land in central-western Queensland, are fighting to protect their land, water, history and future. Update: On Jul. 31, 2018, the Wangan and Jagalingou submitted a request to the United Nations Committee on the Elimination of Racial Discrimination to urgently ensure Australia protects their homelands and culture. Read the request submitted to the UN and an in-depth update from Noni Austin, staff attorney with Earthjustice's International Program, on this latest development. Deep in the arid country of northeastern Australia known as the Galilee Basin lies the homeland of the Wangan and Jagalingou people. Their ancestors have lived there for tens of thousands of years. 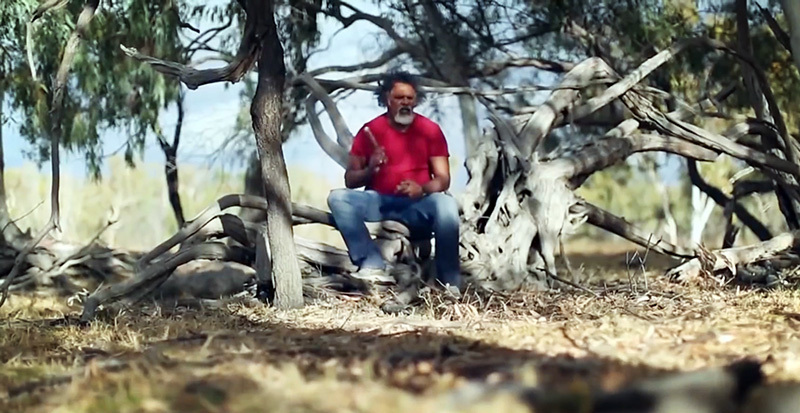 The Wangan and Jagalingou’s sacred connection to the land begins at birth, when the community gives each child an animal totem, often associated with a particular sacred site on the land. This spirit animal guides the child throughout his or her life. In turn, the child has a lifelong obligation to protect that creature, its habitat and all Wangan and Jagalingou traditional land. Over millennia, the relationship among the totems, the land and the people has shaped the living law by which the Wangan and Jagalingou govern themselves and understand their place in the world. “Our land is the starting point of our life. This is the place we come from, and it is who we are,” says Adrian Burragubba, a community elder. Without their land, Wangan and Jagalingou culture, one of the oldest on the planet, will be lost forever. Each generation has proudly cared for and protected their homeland, even through invasion and displacement by Europeans. But a menace of the modern age threatens to destroy much that they hold sacred. Lying beneath the surface of the Galilee Basin, one of the world’s largest untapped coal reserves has attracted the eye of the Adani Group, an Indian multinational corporation that plans to build one of the world’s largest coal mines. The Carmichael Mine would consist of six open-cut pit mines, five underground mines and a coal handling and processing plant. It would produce up to 60 million tons of coal per year for up to 60 years. Carmichael is just the first of six mega-mines planned for the Galilee that are currently moving through the approvals process. 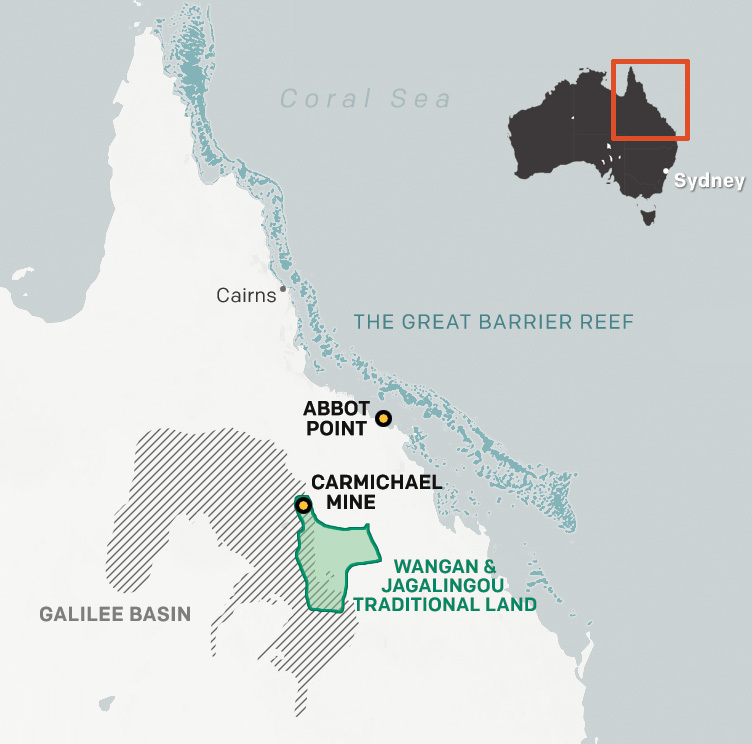 This map of Queensland, Australia, shows the location of the Carmichael mine on Wangan and Jagalingou traditional land as well as the close proximity of the Abbot Point shipping terminal to the Great Barrier Reef. If Adani’s proposal comes to fruition, the Wangan and Jagalingou’s land won’t simply be damaged, it will be ruined. “If this mine proceeds, it will destroy every connection we have with our ancestors, our laws and customs,” says Burragubba. This mine isn’t the first instance of Adani’s disregard for local communities and the environment. Reports co-authored by Earthjustice showed that one of the company’s coal-fired power projects in India caused extensive harm to surrounding land and people. Additionally, the CEO of Adani Australia was formerly a director of a mining company in Zambia that pleaded guilty to criminal charges for polluting a major river. With Earthjustice’s support, the Wangan and Jagalingou have internationalized their battle, seeking United Nations support in defending their human rights to culture and to withhold consent to a project that would destroy their traditional lands. Of course, mining the Galilee is only the first step. Most of the coal will fuel power plants outside Australia, primarily in India and China. To get it there will require more than 500 new ships every year to pass through the world’s largest living structure: the iconic and fragile Great Barrier Reef. Earthjustice is working to draw attention to Adani’s plans by raising awareness about effects of the coal projects on this worldwide treasure. The Abbot Point coal terminal, now owned by Adani, sits on the edge of the Great Barrier Reef, which is already under threat from pollution, overfishing, hotter ocean temperatures and acidification. To export coal on the scale Adani plans, the company must expand the terminal. Doing so would require dredging the seafloor, which would increase stress on the reef and disrupt the ecosystem of threatened animals including sea turtles and dugongs. 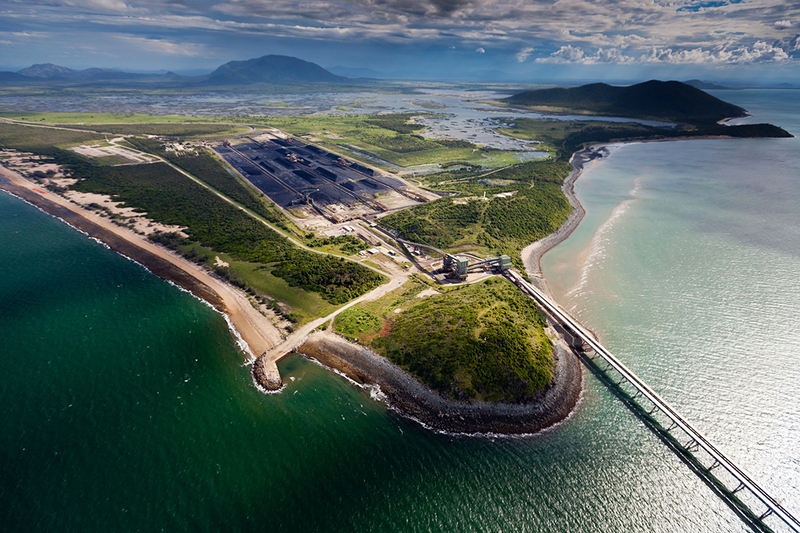 The Abbot Point coal export terminal sits on the edge of the Great Barrier Reef. “The dredging is adding to the existing pressures on the reef, and is accelerating the ongoing decline in many of the values for which it was internationally recognized,” says Jon Day, a researcher at Queensland’s James Cook University who spent nearly three decades managing the reef. If any natural place in the world transcends an individual nation’s concerns, it is the Great Barrier Reef, which the United Nations has recognized as a World Heritage Site because of its importance to all humankind. The iconic reef is home to a staggering amount of biodiversity: 600 varieties of soft and hard corals, 1,625 types of fish and more than 30 species of whales and dolphins. If the Galilee Basin were a country, burning its coal would make it the seventh largest CO2 emitter in the world. Arguably more significant than the direct impacts of Abbot Point’s expansion on the reef is the harm caused by the product shipping out of it. If the Galilee Basin were a country, burning its coal would make it the seventh largest CO2 emitter in the world, and would exacerbate the climate change impacts already weakening the reef. “Abbot Point terminal is the pin in the CO2 grenade of the Galilee Basin,” says Noni Austin, staff attorney at Earthjustice's International Program. Austin is working with a broad coalition of Australian advocates and scientists to protect the reef. 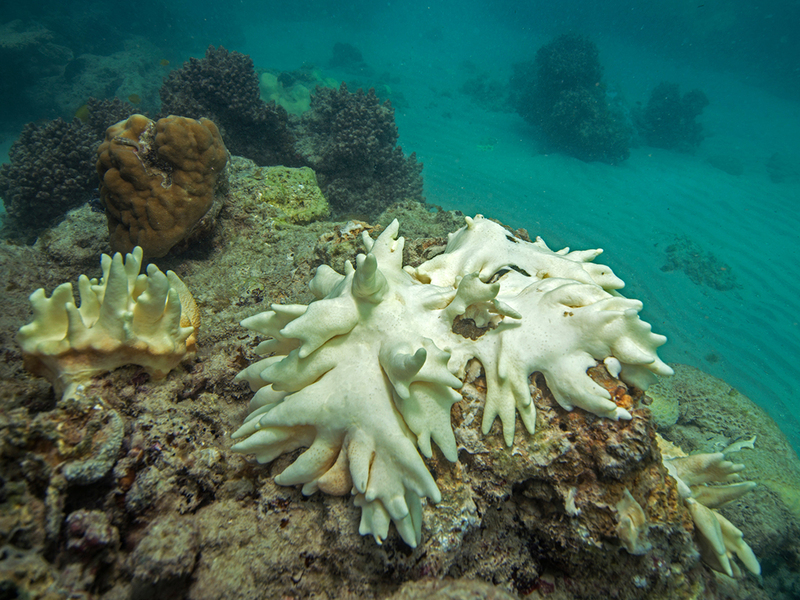 Dead coral covered in algae after the bleaching event, captured by the XL Catlin Seaview Survey at Lizard Island on the Great Barrier Reef in May 2016. Decomposing corals on the Great Barrier Reef, captured by the XL Catlin Seaview Survey at Lizard Island in May 2016. 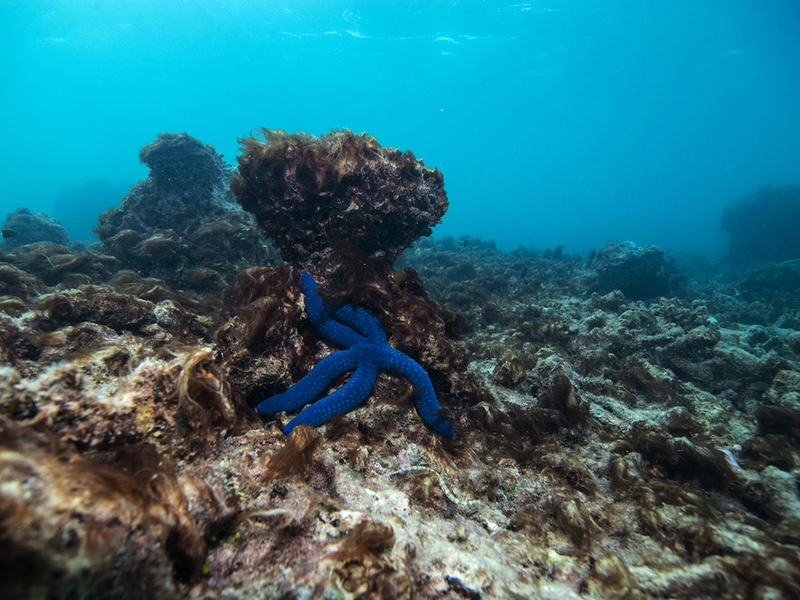 Starfish on a dying coral reef, captured by the XL Catlin Seaview Survey at Lizard Island on the Great Barrier Reef in May 2016. A before and after image of coral bleaching and later dying in March / May 2016, at Lizard Island on the Great Barrier Reef, captured by the XL Catlin Seaview Survey. 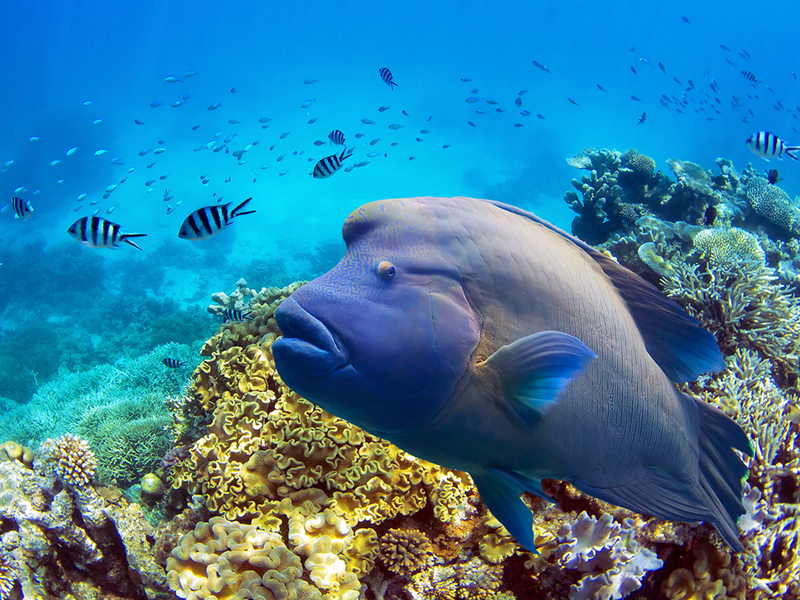 A humphead wrasse swimming through healthy coral in the Great Barrier Reef prior to the bleaching event. In 2015, Earthjustice and Environmental Justice Australia appealed to the World Heritage Committee to place the reef on the list of World Heritage sites in danger. Often, the threat of an “in danger” listing encourages a country to step up its protections. 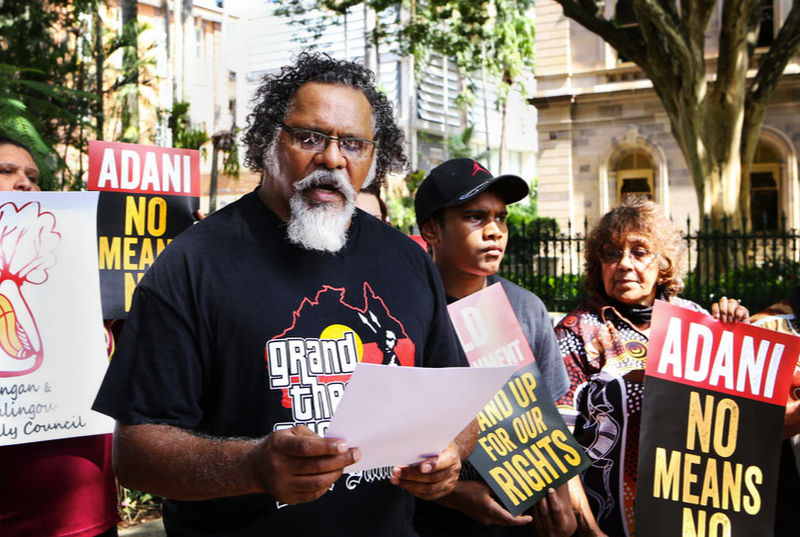 Adrian Burragubba, Wangan and Jagalingou community elder, speaks at an event to raise awareness about the Carmichael mine's threat to his peoples' traditional land. Though the World Heritage Committee did not list the reef as “in danger” in 2015, it did agree to review its decision after 18 months. That would have allowed the Australian government more time to strengthen its commitment to the reef’s protection. Instead, the government approved both the Carmichael Mine and the expansion of Abbot Point late last year. Earthjustice and Australian groups are asking the committee to review potential impacts to the reef before these projects go forward. Since the publication of this story: In April 2016, Adani secured its mining leases for the Carmichael mine after lengthy legal challenges. The Wangan and Jagalingou continue their battle to protect their ancestral homelands and sacred sites from this project. In early 2016, the United Nations Special Rapporteur on the Rights of Indigenous Peoples raised concerns with the Australian government about the Carmichael mine, urging the government to halt any human rights violations. With Earthjustice’s support, the Wangan and Jagalingou continue to seek United Nations support to protect their culture from destruction by the Carmichael mine. 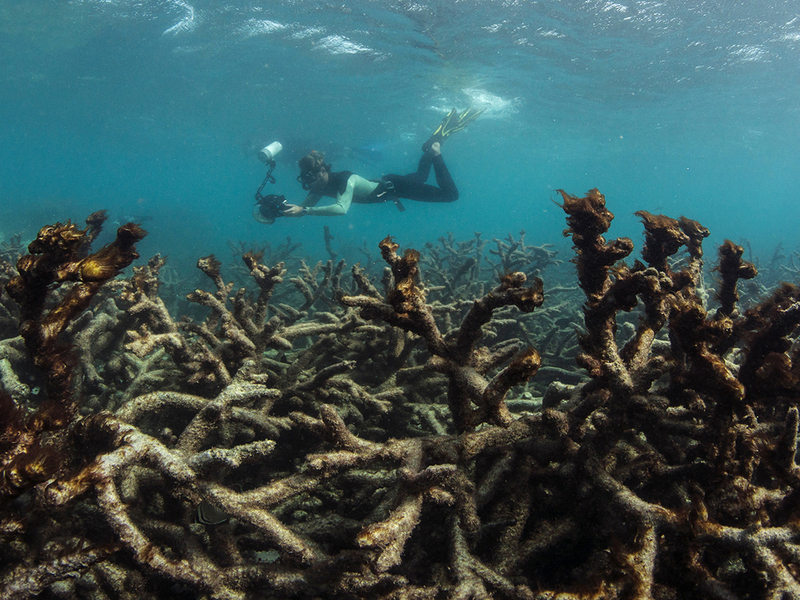 In June, 2016, Earthjustice submitted a letter calling on the World Heritage Committee to address the catastrophic coral bleaching that has caused 22 percent of the coral in the Great Barrier Reef to die in the worst mass bleaching in recorded history. 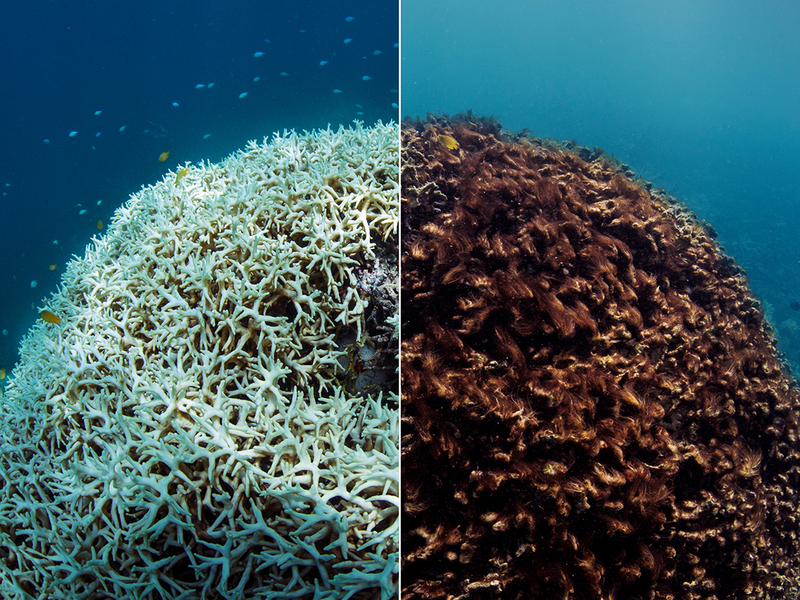 The above-average sea temperatures that triggered this bleaching were made dramatically more likely by climate change, and Earthjustice asked the committee to urge Australia not to approve or support destructive coal projects that fuel climate change. On March 9, 2017, Earthjustice and Environmental Justice Australia released World Heritage and Climate Change: The Legal Responsibility of States to Reduce Their Contributions to Climate Change, a case study of the Great Barrier Reef. On June 12, 2017, researchers from The University of Queensland released a report placing the Wangan and Jagalingou’s struggle against the Carmichael Mine in the context of Australia’s colonial history and current Indigenous land laws. On Jul., 31, 2018, the Wangan and Jagalingou formally asked the United Nations Committee on the Elimination of Racial Discrimination to urgently ensure Australia protects their homelands and culture. The committee is the enforcement body of the UN Convention on the Elimination of All Forms of Racial Discrimination, a treaty Australia has signed. The convention is one of the core international treaties among the world’s nations that protect our most basic human rights, including Indigenous peoples’ rights to culture and land. 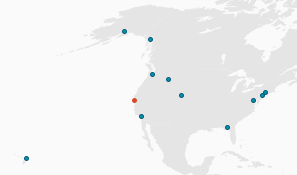 Earthjustice's International Program is based in San Francisco. Established in 1991, the International Program works with organizations and communities around the world to establish, strengthen, and enforce national and international legal protections for the environment and for public health. As part of its wide breadth of work, the International Program supports lawyers and activists from Bangladesh to Australia who are opposing coal mining and coal-burning power plants. Learn about our international work.